Carbon can be located on the right side of the stair case on the periodic table, because carbon is not a metal. However, on earth you can find carbon in all living organic matter. All life known must have carbon. Carbon has multiple common compound forms. Carbon Dioxide, Carbonic Acid, Carbon Disulfide, Carbon Tetraflouoride, Carbon Tertrabromide, and Carbonous Acid are all examples of carbon's compound. In its elemental form, carbon may have limited uses. But this element has the ability to manifest itself into a very useful substance for a number of things once it combines with other elements. Here are some examples how carbon is used, carbon can be used as a decorative tool in jewelry items. Fossil fuels like methane gas, crude oil, petrol, diesel, etc. contain high percentages of carbon. Even the cooking gas that we use is a hydrocarbon. Carbon is used as a base for the ink that is used in inkjet printers, also plastics are carbon polymers. Carbon isn't very reactive (although coal can of course be burned to from CO2, which means that it does react with oxygen at high temperature). Carbon of course also occurs in many other compounds that also contain other atoms. Many of these compounds are reactive, and many are not, but overall most carbon is not reactive. The physical properties of carbon contain multiple forms of carbon, the hardness, phase, the color, etc. Carbon has many forms that the element is found in. Carbon pure forms can be found in graphite, diamonds, and coal. The hardness of diamond is one of the hardness substance known to man today and we use diamonds for jewelry. Graphite is soft and often used as lead in pencils. The phase of Carbon is solid. Finally, the color of diamonds are highly transparent, while graphite is opaque and black. The chemical properties of carbon can contain the reactivity, compounds, oxidation, etc. The oxidation of carbon is when the element combines with oxygen to produce carbon dioxide and monoxide. 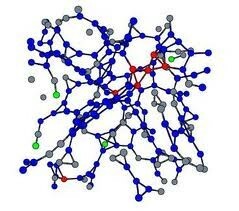 Yet, carbon's reactivity is dull, carbon does not dissolve in, or react with, water or acids. Carbon does however form more compounds than all other elements combined. Carbon's atomic weight isn't a whole number because they are averages of a number of different atomic masses. Carbon is no exception and is made up of isotopes with masses 12, 13 and 14 (written 12C, 13C, 14C, but read carbon-12 etc.). Diamond, the third naturally occurring form of carbon, is one of the hardest substances known. Although naturally occurring diamond is typically known to be used for jewelry, most commercial quality diamonds are artificially produced. Small diamonds are made by squeezing graphite under high temperatures and pressures for several days or even weeks at a time, they are primarily used to make things like diamond tipped saw blades. Graphite, is one of the softest materials known. Graphite, is a form of carbon that is primarily used as a lubricant. Although it does occur naturally, most commercial graphite is produced by treating petroleum coke, a black tar residue remaining after the refinement of crude oil, in an oxygen-free oven. These two forms have identical physical properties but different crystal structures. 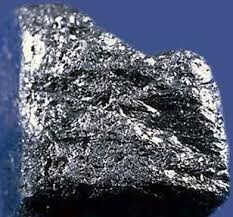 In addition to its use as a lubricant, graphite, in a form known as coke, is used in large amounts in the production of steel. The black material used in pencils is actually graphite. Amorphous carbon is formed when a material containing carbon is burned without enough oxygen for it to burn completely. Amorphous carbon can also be pressed into shapes and is used to form the cores of most dry cell batteries, among other things. Neckers Jewelers We Want You! We noticed that you sell jewelry necklace, bracelets, rings, and diamonds so this is a once in a life time opportunity just for you! We would be interested in selling you carbon. 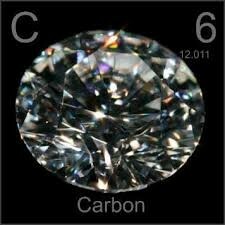 Carbon can related to diamonds that you can use for your wedding rings to sell to your costumers. The diamonds would be clear and shiny guaranteed. Even though your diamond is clear and shiny you can trust that the diamond is solid. We trust that the diamonds won't break unless you intently try to break the diamond with a hammer as an example. Even better would you like to sell your products knowing that the material won't have a reaction? Well we have tested that the carbon does not have any reactions. You can put the diamond in to water and even into acid. Knowing that the diamond won't have a reaction why not sell it? Purchasing the diamonds from us will be benefital for you and your work. Were quick and cheap with good quality. The diamonds will bring joy to a newly wed couple, and seeing their faces keep us going in our work. This is exactly why we spotted you to join forces together. Would you be interested to brighten up someones day with us?